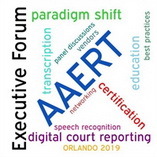 Technology is at the center of the AAERT 2019 Executive Forum. At the Executive Forum, court reporting and transcription firm owners will learn about the current and future trends in technology for digital court reporting and transcription. Registration starts at 9:00 a.m. on Friday, March 29, 2019, and the exhibition hall opens at 10:00 a.m. Vendors will be available for informative discussions and demonstrations with attendees. As some of you may know, I had the most amazing opportunity come up in early 2017 that put me on the road for ten months of 2018. I have a wonderful, long-time friend who is retired that came to visit me for a weekend in early 2017. 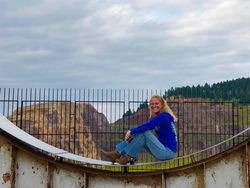 She started talking about her plans to buy an RV and truck and travel all over our beautiful country, the U.S.A., in memory of her father who had passed away a few years earlier. This story is about those adventures, but keep in mind that this is a possibility for any of us. I will be honest, it wasn’t always easy to work and travel. I will get into more of that after I explain to you how it all started. Remote Reporting -- It is Here Today! What do I mean by "remote reporting," you ask? Remote reporting is just as it states: court reporting services provided remotely from the location of the client. This is similar to the way remote live captioning is being performed only via audio and not both video and audio. 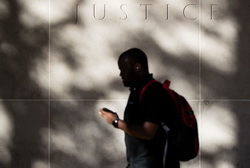 The findings could have far-reaching consequences, as errors or misinterpretations in courtroom transcripts can influence the official court record in ways that are harmful to defendants, researchers and lawyers said.